Behold! This is a bit of a monster post but I thought it would be really interesting to share. Before I start, I'd like to point out that I did not write any of this and that I have never visited FMX. Therefore, I cannot agree with or promote the views put forward in this write up. I can only observe the experiences of Mr.Anonymator (we'll call him that for now) and hope to one day draw my own conclusion to the festival (I would really love to go!). A good friend from iAnimate sent it to me in an email and agreed to let me share it with all you lovely folk. However, he wishes to remain uncredited as some of what he says could be seen as negative or taken out of context. Especially since the animation community and industry is so small and everyone knows each other. 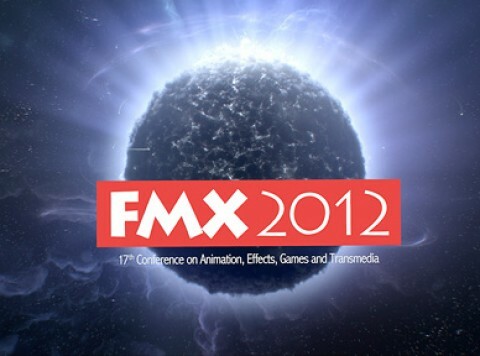 Ok so I arrived at FMX at around 10am for the 3-hour class, 'Ed Hooks' Acting For Animators Pt 1'. Ed was a really cool and fun guy, brimming with enthusiasm. Everything he said was pretty damn interesting (but I had already read most of it in his book - but it's good to get a refresher course nonetheless). There were also two spontaneous guests from Blue Sky, being Jeff Gabor and Nick Bruno. They chatted for about 45 minutes about their process and we looked at some of their work. The workshop on the whole was a bit more on the lecture side, although Ed took questions throughout and was happy for discussion to take place. But there were no acting exercises (phew!). However, I did find that a lot of what he talked about applied more to constructing a story rather than specifically animating a character, so I suspect a few people might have found that a bit frustrating. After the workshop I hit the recruiting booths. I had my iPad in hand with my reel on it as well as 3 DVD copies. The room itself (called the recruiting hub) wasn't huge and the booths were pretty small, all being packed in close together. My expectation before I got there was that there would be long lines of people queuing up at each booth, with people holding onto their reels or portfolios. So I was pretty surprised when I got there and just saw the odd person here and there just wandering around, maybe having a chat. No portfolios, nothing. So I was kinda confused as you can imagine. (Oh one thing to note, not every company was there on every day of the conference. Some were, but others were there just for one day). So my first stop was at Animal Logic (Happy Feet, Legend of the Guardians). They were only there for Tuesday, and they're an Australian company so I thought, well that's something to chat about and plus they can't say I'm not good enough to get a working visa ;). So I chatted to the woman there, and she was cool and friendly. Eventually I showed her my reel and she said I had some nice stuff but my dinosaur shot lacked a lot of weight, which I think is a very fair comment. And I should probably mention now that I always introduced myself as a student animator and that I just wanted their feedback on my weaknesses and how I can push myself more. I never said outright that I'm looking for a job because I think it's just easier to not put them in that awkward position where they have to say 'no' (and I will say that everyone I talked to was pretty damn friendly and down-to-earth). So I then went to the Framestore booth and was told that they don't look at reels or portfolios. They just gave me an email address to send my work to. Next stop was Axis Animation, who are from Glasgow. The women there were again really nice, but didn't want to look at my reel, but they did want to take a DVD version to look at later. So those hours of making the DVDs was worthwhile in the end (evidently, it was the only DVD I gave out). And then the last stop was at Lucasfilm Singapore. Another really nice woman who was more than happy to check out my reel and she gave me some great feedback. She really liked that each of my shots had a bit of a story to them, and weren't your typical walk-cycle, box-lift, etc, so that was nice to hear. She did say that the dinosaur shot lacked a lot of weight, so that one came out of my reel as soon as I got home (I replaced it with my weight lift shot - unfortunately the DVDs had to stay as they were). And that was it for Tuesday. There were other companies there that I didn't visit because they were very Visual Effects oriented and it was clear that I didn't have the kind of work that they would be remotely interested in. Before I continue, I'll just quickly say that I got the strong impression almost immediately that very few of these companies were interested in seeing reels and artwork. They seemed more interested in promoting themselves and collecting email addresses from people. One company (Pixomondo) had a bench with iPads and a big sign saying 'Apply Online Here'. So that was a bit disheartening. Anyways, after trudging around the booths, I went to a Pixar presentation about Renderman which also had a screening of La Luna. That was pretty cool. Then I went home as I was beat and the presentations that remained didn't interest me at all. Back at Acting for Animators (Pt II) for another 3 hours. The room was packed full this time, and some people were standing for the whole workshop. Again, it was fun and interesting but combined with the previous day, there was certainly not 6 hours worth of content. I think he could have easily gotten through the whole presentation in just 3 hours if he streamlined it and organised it a bit better. But maybe he also expected a more interactive audience. Overall though, these two sessions really drained me. If I go back next year, I'll skip this workshop (as I doubt there'll be anything new) and go to some other presentations instead. 3 hours is a looong time to sit and listen without a break...at least it is for me. After this, it was back to the recruiting booths. Same situation again...hardly anyone there. No portfolios, maybe a reel here or there. First stop was Crytek games. The guy there was super-friendly and really honest and down to earth. He seemed to like my reel, but felt that it was too geared towards film animation and that if I wanted to work in FPS games, I should really focus my reel on that. Then it was onto Blue Sky, and luckily (or perhaps unluckily), the two official recruiters weren't there but instead it was Jeff Gabor and Nick Bruno. So they both watched my reel simultaneously and I gotta say, they were not impressed. Overall we had a nice chat, and they were nice guys but probably the harshest (or perhaps most honest) critics at FMX (unsurprisingly). It was also quite a thrill to chat to Jeff and Nick and they seem to be fans of iA (Nick said Mike Walling got him his job at Blue Sky). But it was around this point that I realised that visiting recruiting booths is probably the worst way to hunt for a job. It was becoming more and more clear that most of the companies were more interested in promoting themselves rather than finding talent. I guess if they came across a particularly exceptional person (a programmer perhaps), then they would make special note of that. But in general they just pointed you towards their website and maybe took a business card so they could add you to their database or mailing list (which you can do by yourself through their website anyway). And I don't mean this as in, "no one liked my work, so clearly it wasn't me, but it was just them not wanting to hire anyone". It just seemed that I had to ask them to look at my work, rather than have them asking to look at my work, if you know what I mean. I kind of had to push it on them, which made me feel like they weren't there specifically to find future employees but rather to just have a company presence there. I hope that makes sense. So at the end of Wednesday I was really tired and kinda feeling down about the whole process. Not down about not being offered a job on the spot (I had no illusions about that happening), but rather that I was left wondering why most of the companies were even there. It seemed like a lot of wasted time and energy to just have people sign up to your company's mailing list. So afterwards, I headed to another Pixar lecture (Shading and Lighting in La Luna - so I saw that short again) and then went home feeling pretty meh. No more 3 hour workshop session for me, so that was a change of pace. I got to Stuttgart early to catch the Disney Recruiting Presentation (their one and only day at FMX). On my way through the city I was stopped by a couple of police officers for a drug search. They asked if they could look into my backpack. I said no problem, to which they replied 'Are you sure?'. 'Absolutely' I said, and started to open it....they quickly asked if I smoke (which I don't ... and I still don't know why that's relevant) and then just as I unzipped the bag, they said 'nevermind' and walked off. So there ya go...it seems like I'm gonna have to start looking more respectable in public. So yeah, the Sony Imageworks guy was again nice, quite relaxed and easy going. I asked him about what they are looking for and he said, "well, we get asked that a lot by students and to be honest, we don't care if it's cartoony animation, or serious or whatever, we just want to see good animation. And we want to see detail and nuance in there." So that was some cool and genuine advice I thought. He checked out my reel and said there was some nice stuff in there although he didn't quite understand the Dennis sneak at first. He thought he stopped to scratch his back on the pole. So that was interesting to hear... cause even though the idea is clear in my head, that doesn't mean everyone will get it. So I'll pay a bit more attention to that in the future. I should also mention that prior to this recruiting booth visit, I had gotten the feeling that the recruiters saw my reel as being generally good but not great and there was clearly no way a company was going to hire me from FMX. I think one particular reason for this was that most of the companies that were there, were the 'big boys'. Very few of the smaller and more local studios were there. Luxx was the only one that I talked to and they were also the only one considering animation, and not surprisingly, they seemed more impressed with my work than anyone else, and that’s probably because animation isn't their primary business. So this really confirmed my feeling that FMX recruiting booths are the worst way to go about getting a job (or at least for a student looking for an entry-level job). And just another quick thing, I rarely left a business card or DVD with a company after they viewed my reel. It becomes pretty obvious pretty quickly that they have no interest in hiring you...although the Sony Imageworks guy did give me his business card, so that was a nice gesture to keep trying in the future. The last stop was the big one, Disney. A lot of people were lined up there, but I eventually got to chat to one of the recruiters, who again, was super friendly (it's very easy to tell the pro recruiters from the poor bastards who got sent there by their company). As soon as I said I study at iAnimate, she instantly said 'Oh Jason...I know him...we had to visit Europe together for Disney" and so we chatted about iA and that really helped put me at ease and it kinda made me feel like I stood out a little more from everyone else (woo for iAnimate! ;). She said getting a letter of recommendation from him would really help in getting into the training program at Disney (which I think all students get anyway when finishing Workshop 7). Anyhoo, she looked at the reel and one of the things she said was 'well, obviously you can animate', so that was certainly nice to hear. Her criticism though was that my reel didn't feel very dynamic and that most of the shots had the same tone to them (which is something I've feared for a while). She really liked my Dennis shot and said that that should be the first shot, which was interesting to hear after the Sony guy said he wasn't keen on it. And then she basically chatted about how I could rearrange my reel in order to give it more impact. Then I was signed up to the Disney recruiting database (as everyone was) and I was on my merry way. And that was the final recruiting booth that I visited and it was a nice one to end on. And that is it!! The FMX experience (well mine anyways). I don't know if I'd do it again next year...if I do, I don't think I'll do all four days and I might even avoid the recruiting booths altogether (except if Dreamworks are there. I think it would be much easier talking to them than any of the others seeing as iA is so connected to them). But I certainly learnt a lot, especially, as I said before, that 1) the recruiting booths are probably the worst way of trying to get a job and 2) my reel at the moment is decent but not even close to great, so there's a lot of work to do there. Oh and a third thing is, as I mentioned before, I noticed different people responded quite differently to my shots. The Animal Logic recruiter liked the subtlety on my last dialogue shot, whereas the Blue Sky guys felt it was all pretty bland. So I guess that makes crafting the perfect demo reel pretty damn tough. But my feeling is that the different reactions I got might be a result of my work being generally unimpressive. For example, I think the Animal Logic recruiter was just trying to find good things to comment on, and not be completely negative, and so she mentioned the subtlety in that dialogue shot. I think if I had a more solid and impressive reel, the responses from different people probably wouldn't vary so wildly. That's my theory at the moment anyway. So my goal now when it comes to my reel is to throw all of it out and have three, maybe four at most, super strong shots that are different in tone and style. And I don't mean this in a defeatist, giving-up kind of way, but rather that I now see that my reel is still just assignment work and it's going to be hard to impress the big boys with that kind of stuff. Plus I've never liked the idea of clinging on to old work. The idea of having a fresh new reel this time next year is really exciting to me and I think with the next 3 iA workshops, this should be within the realm of possibility. So it's onwards and upwards, and generally I feel it was a worthwhile experience. Plus I'm obviously far more aware of what FMX is all about so that if I go next year, when I'm closer to finishing iA, I'll have a better idea of what to expect.